NT-MAX contains more commercial grade bacteria to destroy sludge on site! With trillions of bacteria and enzymes per treatment, NT-MAX aggressively attacks clogged drainage areas throughout your entire septic system. Our scientifically selected, patented strains of bacteria digest all organic waste - quickly restoring flow and drainage to all failed systems. NT-MAX will completely restore failed cesspits, drain fields, leach fields, aerobic and anaerobic systems, sand mounds, lagoons, cesspools and all other septic systems including aeration systems. Simply flush one bio-pack each month for maximum protection against system clogging. Specially formulated bacteria and enzymes prevent odors, eliminate pump-outs and prevent costly repairs. NT-MAX packs the highest bacteria and enzyme counts in our arsenal. 10X stronger than many leading brands and highly resistant to cleaners. Commercial grade and designed to perform. All septic systems include a drainage area where waste from your home eventually flows to and leaches out through soil and surrounding gravel. 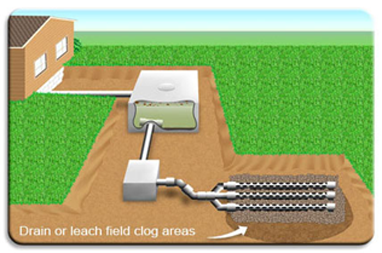 Untreated or poorly maintained septic systems can develop severe Bio-Mat (undigested raw sewage) and grime buildup throughout the entire system including the leach areas. As this sludge builds up, system performance degrades steadily which eventually leads to various levels of failure due to soil clogging. Most systems fail in the drainage areas where the surrounding soils compact and clog to a point where the elimination of waste is restricted, or in some cases, completely blocked. Bacteria Is The Key. 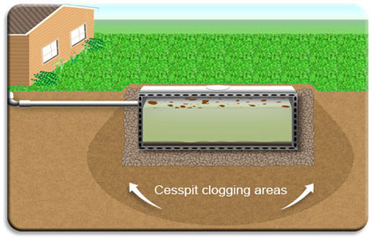 Septic systems are designed to process waste and are very effective at doing so provided high bacterial colonies are allowed to flourish and consume all of the organic matter that enters the system. Since many systems are designed to accept all of the waste from your home, healthy bacteria and enzymes are critical to the ongoing breakdown process that occurs naturally and unattended. Many household chemicals often lead to premature failure since most are designed to kill off healthy bacteria. Laundry soaps, bleach, dishwasher detergents, salt based water softeners, bathroom cleaners and other everyday cleaners can destroy a relatively healthy system in just a short period of time. Some cleaners are advertized as "safe" which might be ok for your tank, yet devastating to your bacteria colonies. NT-MAX is highly resistant to soaps, paint, bleach, salt and cleaners and will quickly counteract the damage causes by these chemicals. 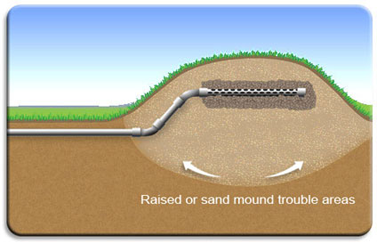 The septic systems drainage areas usually contain gravel which collects effluent (urine byproduct), sludge, bio-mat and undigested waste leaving your system. Beyond the gravel are soils which act as a fine filter to purify the liquids as they pass down into the ground, back into the water table. System Clogging. Each system clogs and in different ways depending on the design. In drain field, leach field, infiltrator and similar line type systems, small holes or perforations in the lines allow fluids to pass evenly along the length of the field. In cesspit, cesspool and sand mound type systems, the process is similar but the perforations are in the system itself, or directly below. In problem systems, these perforations become clogged with bio-mat and sludge, leading to a reduction of the amount of liquid processed. This clogging effect compounds and worsens over time as undigested waste continues to buildup, furthering the restriction of flow and permeation. Eventually, trouble signs begin to appear in various forms including smells and strong odors, slow flushing toilets, slow drains, gurgling sounds or other irregular noises. Outside symptoms might include odors, wet spots near your tank or cesspit, leakage near your lines or mound, grass discoloration, irregular grass growth or erosion of areas where soils has washed away or became indented compared to surrounding areas. Powerful NT-MAX multiples rapidly and aggressively, digesting clog causing organic matter faster than virtually any other product on the market. Scientifically selected, lab cultivated strains of bacteria and enzymes consume massive amounts of waste per day, working throughout your entire system to restore full function and drainage back to its original state. Reviving the Failed Septic System. NT-MAX bombards your entire septic system with hundreds of trillions of bacteria and enzymes per treatment, restoring crucial bacterial colonies that quickly digest waste and unclog your blocked drainage areas. NT-MAX dissolves organic matter deep within even the most compacted soils and sludge clogged pipes, gravel or drainage areas. Scientifically engineered bacteria and enzymes rapidly consume (1) Bio-Mat (undigested raw sewage), (2) Laundry Soap, (3) Toilet or waste paper, (4) Sludge and food waste, (5) Proteins, oils, fats grease, (6) All other organic matter throughout your system. Harsh chemicals simply free up some blockage material while flooding your system with deadly toxins. NT-MAX contains technologies that digest and convert this compacted sewage waste into harmless air and carbon dioxide which automatically discharges back into the air. NT-MAX Will Completely Restore Your Failed Septic System. To date, our success rate is phenominal and our products are guaranteed to eliminate sludge and alleviate your septic system blockages. Backed by over 70 years of research and development, NT-MAX products continue to be a world leader in septic system remediation and sludge degradation. The technologies powering NT-MAX are implemented throughout the globe, from RV holding tanks to the more recent BP oil spill disaster. NT-MAX Septic Tank Treatment can save you tens of thousands of dollars in repair or replacement costs and can have your system up and running in a matter of days. Septic tank systems, cesspits, sand mounds and drain field replacements can run $5,000 to $40,000 and is in most cases an unneeded burden on your finances.